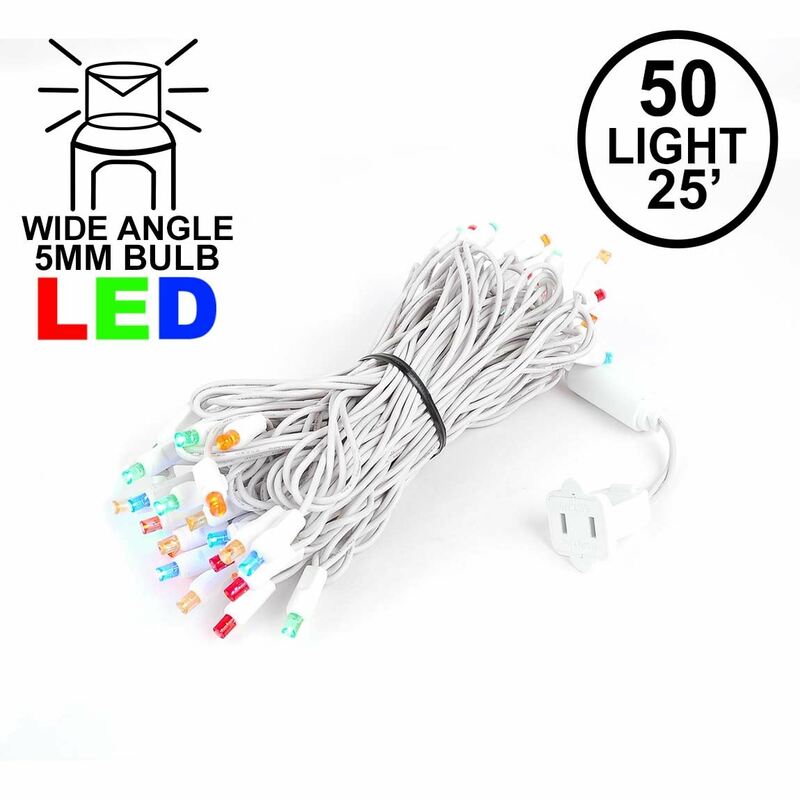 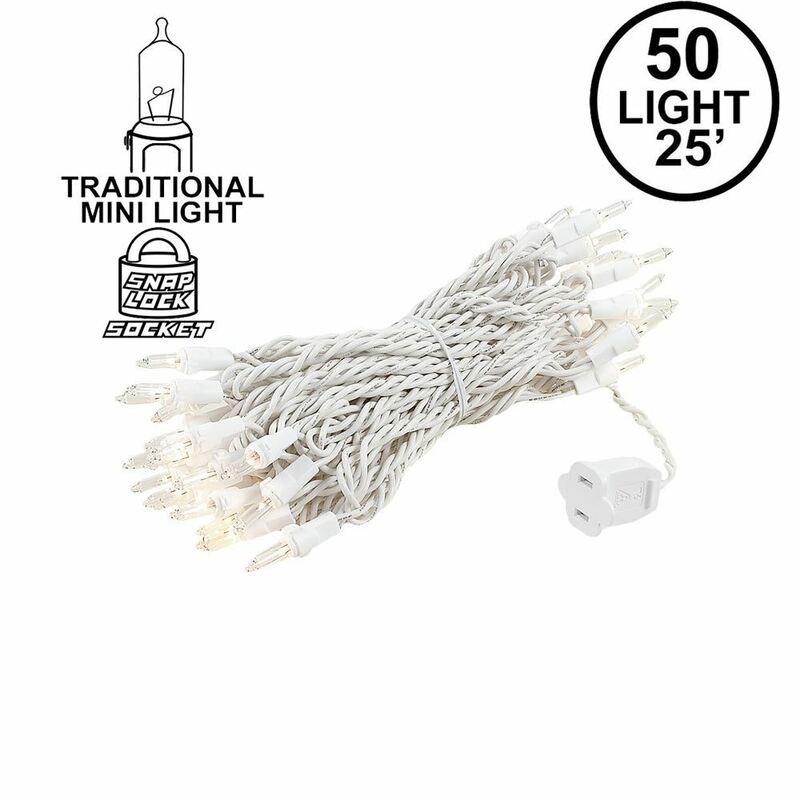 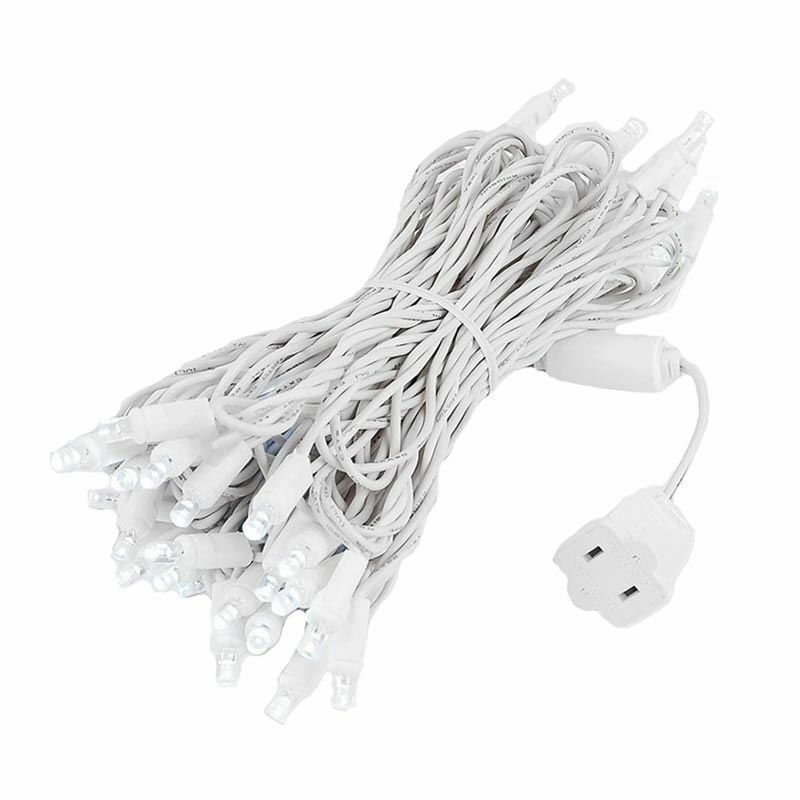 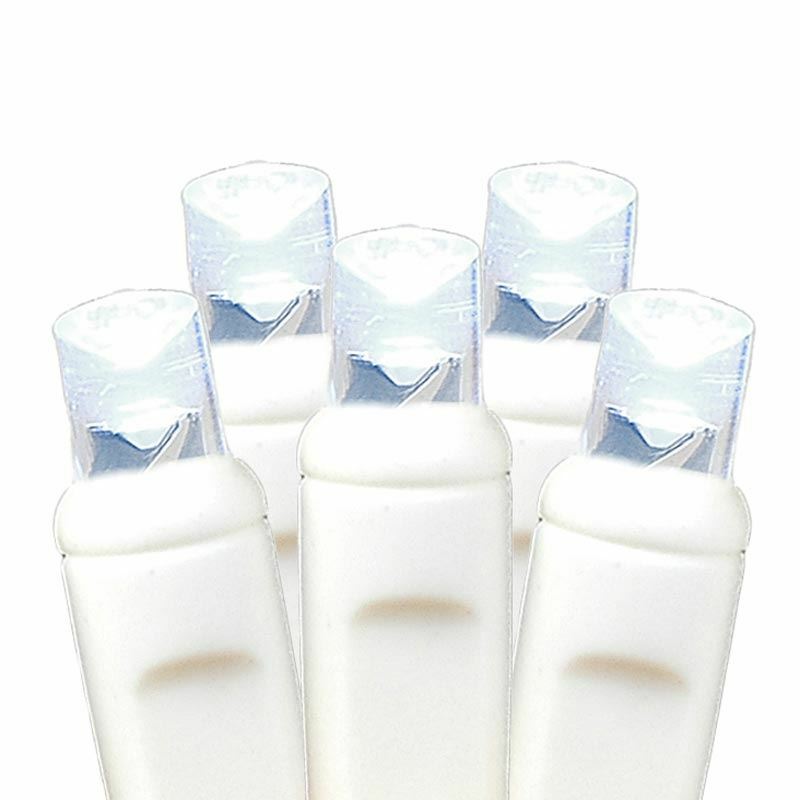 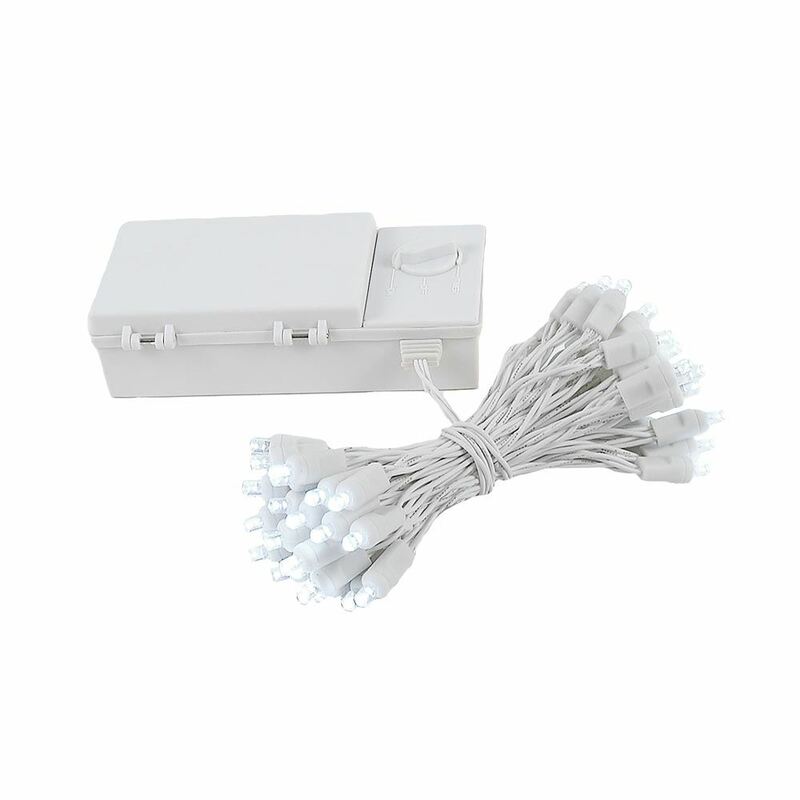 Our super bright 50 light Pure White Wide Angle Mini Lights on white wire have 50 commercial grade LED's on 6" centers making each string 25' long. 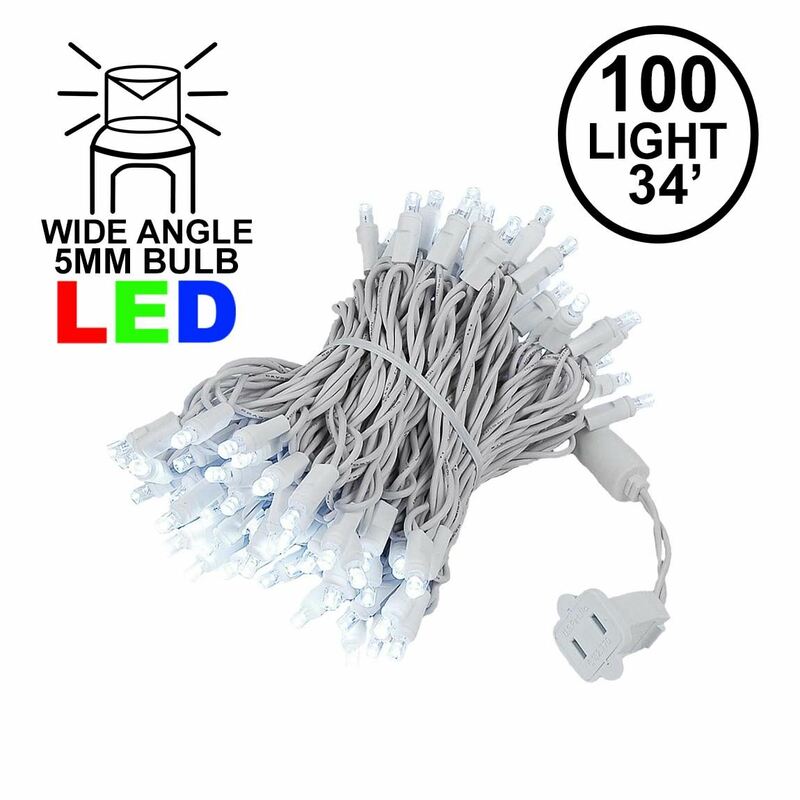 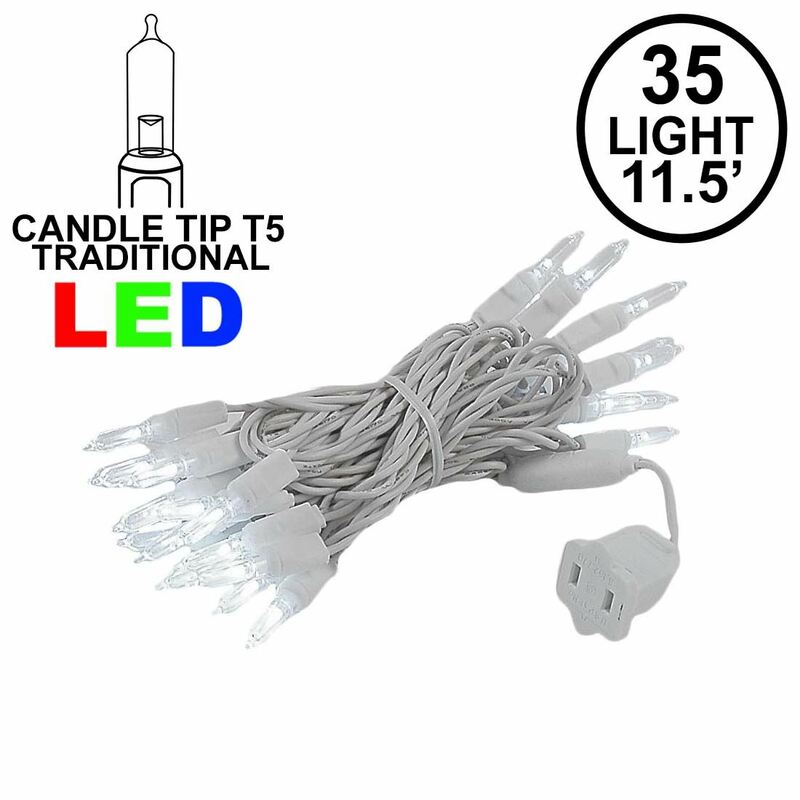 Because these strings have non removable LED's this eliminate failures from loose, broken or removed bulbs making these commercial grade LED Christmas lights very durable long lasting and extremely energy efficient. 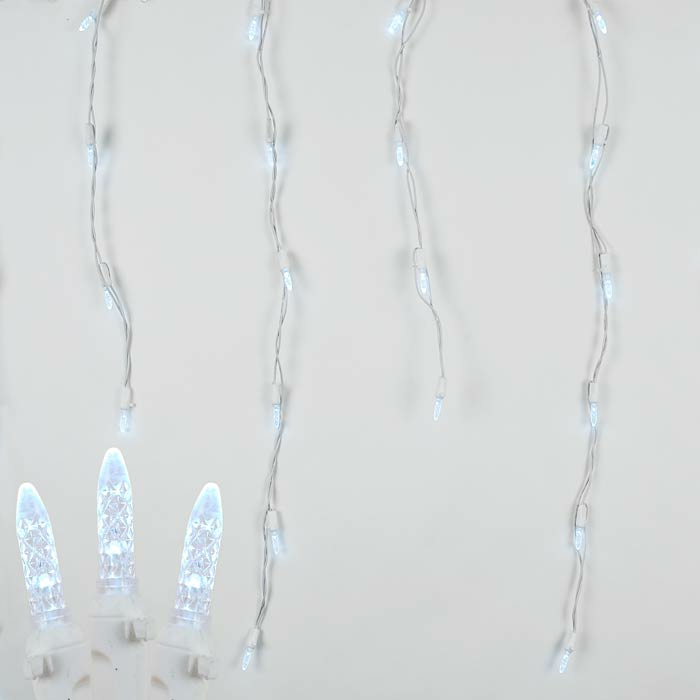 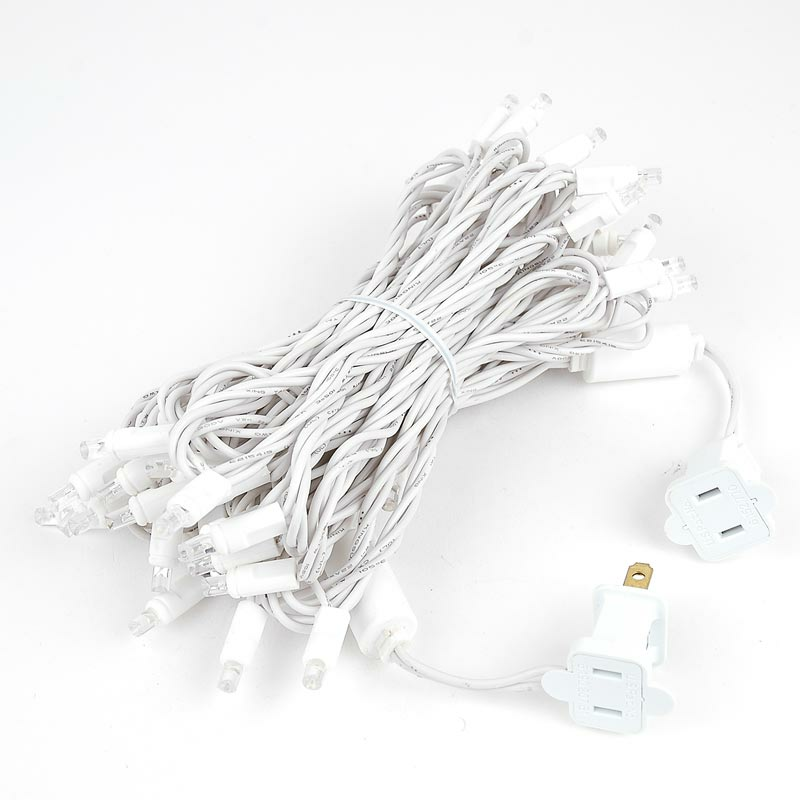 Each string also is full wave rectified which eliminates any flickering while making these LED Christmas lights brighter than ordinary LED mini Lights. 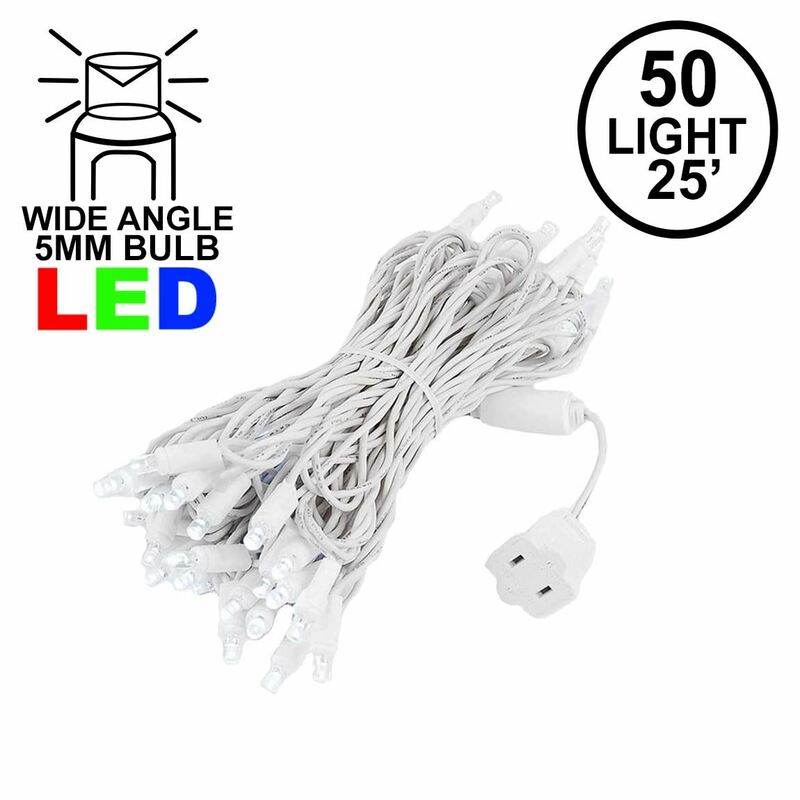 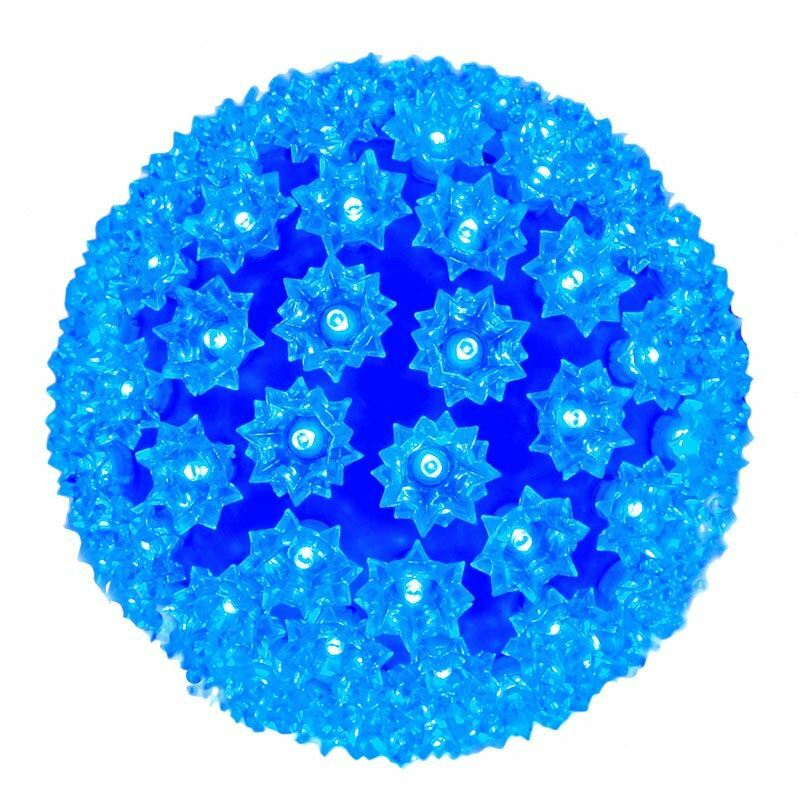 Each LED uses a patented concave design making these LED viewable from all angles. . Energy Star qualified and UL Listed for indoor and outdoor use. 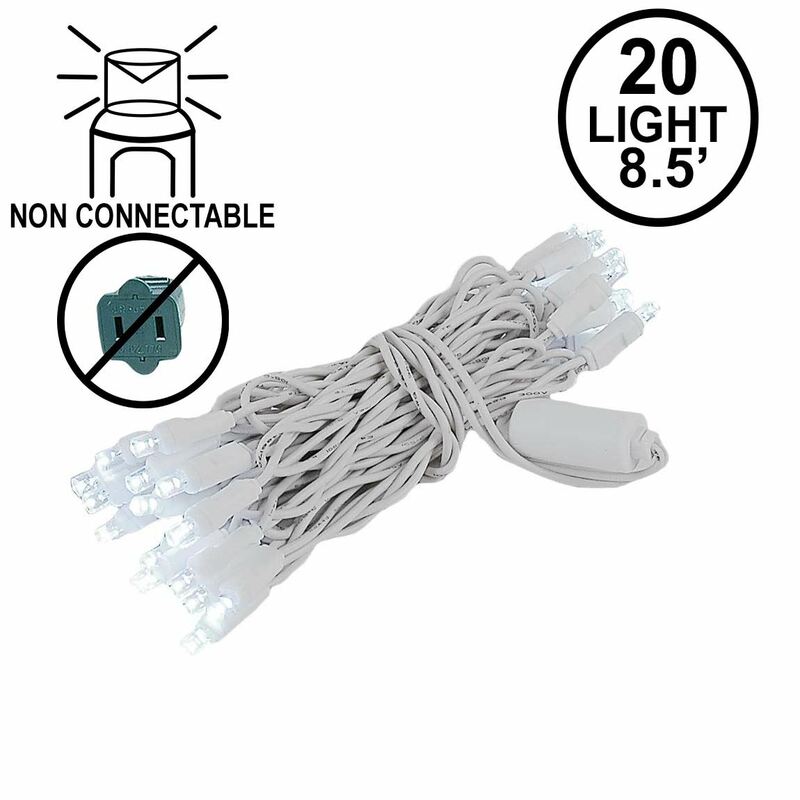 Connect up to 43 strings end-to-end.